It is only with the right application of technology solutions that companies are able to successfully execute their business and supply chain strategy. Through strategic partnerships with leading global logistics technology providers, SSM Group is able to take a client’s improvement recommendations through to the application of Technology Solutions that will meet the requirements of their supply chain strategy. From high level supply chain mapping tools to mobile distribution technology for the transport industry, SSM Group’s Technology Solutions enable the implementation of leading, and relevant technology that produces heightened levels of customer service and lowered costs. For the last 30 years, GS1 has been dedicated to the design and implementation of global standards for use in the supply chain. 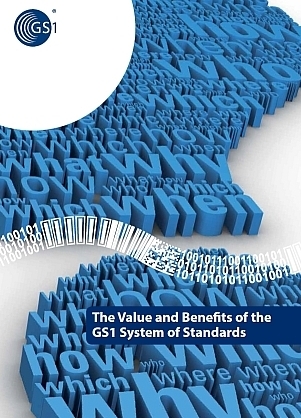 GS1 standards provide a framework that allows products, services, and information about them to move efficiently and securely for the benefit of businesses and the improvement of people’s lives, everyday, everywhere. Our standards ensure effective exchanges between companies, and act as basic guidelines that facilitate interoperability and provide structure to many industries. GS1 standards bring together companies representing all parts of the supply chain – manufacturers, distributors, retailers, hospitals, transporters, customs organisations, software developers, local and international regulatory authorities, and more. GS1 standards are used by huge multinational chains and by small corner shops, by world-famous brands and by individual craftsmen. These companies, who may in fact have diverging business interests, work together under our leadership to agree upon standards that make the supply chain faster, more efficient, less complex and less costly.